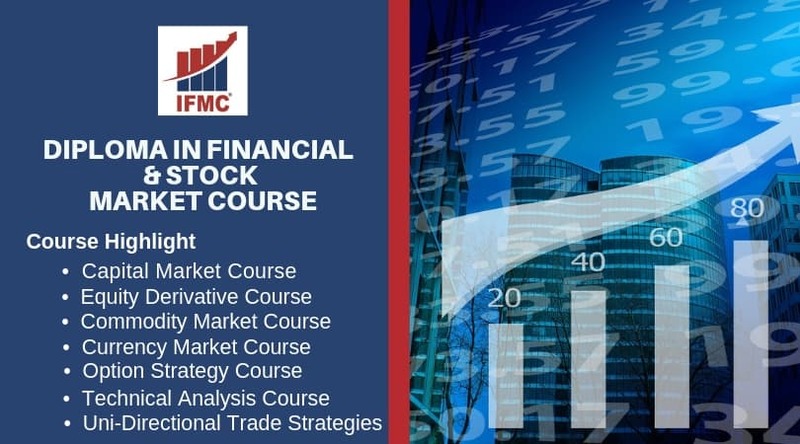 Advanced Stock Market Course in Delhi is a comprehensive guide to various financial market courses offered by IFMC Institute Lajpat Nagar Delhi. The post covers a list of popular courses online stock market courses, the analysis module, job opportunity, and more. Are you looking for a successful technique to earn money in the stock profits in the securities market? Do you still wonder why you’re losing money in stocks? You’ve attended several stock market classes in Delhi and spend thousands of bucks in stock market training but still not getting a result? Advance Level Stock Market Course covers it all! Advance stock market courses create awareness among students and investors. 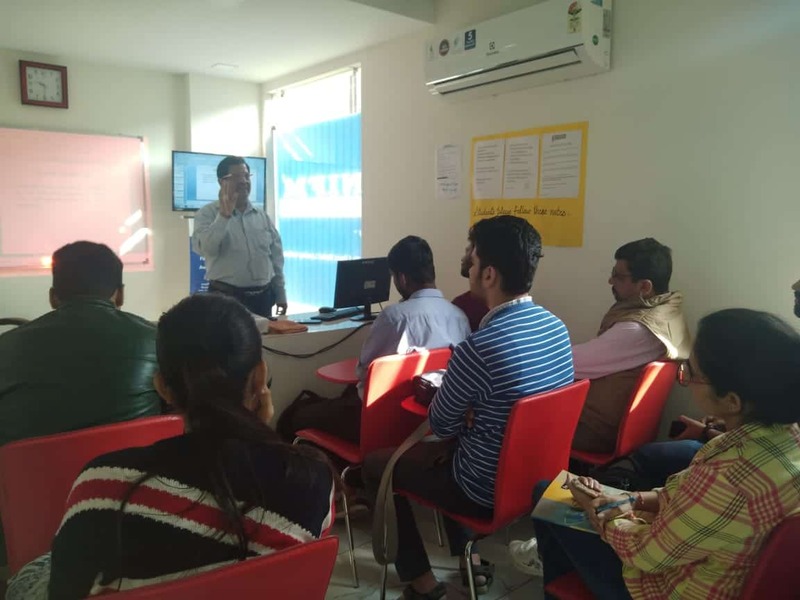 Importantly, topics like stock trading basics, different types of stock exchange, financial modeling, currency trading training course and a trading mechanism for successfully trading is discussed. However, if you are serious about making a career in stock market in Delhi. You can choose more advanced programs. Minnenales who are passionate about stock trading usually lacks basic knowledge of trading in stock market. Indeed, for trading in stock market, professional trader requires only a considerable extent of time and money. Thus, it is essential for traders to equip with basic tools and techniques to make informed decisions. Before you go into key terminologies, you should know the basics of investing in the trade market. 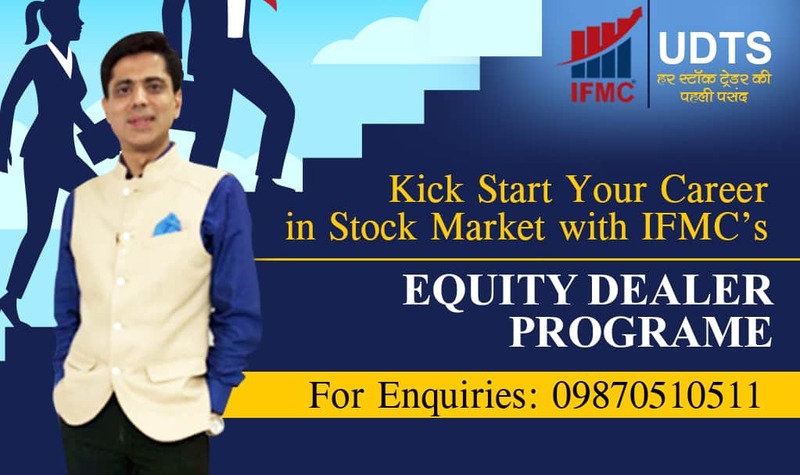 IFMC Institute of stock marketing, is a premier financial market training institute for Stock market course in Delhi NCR. 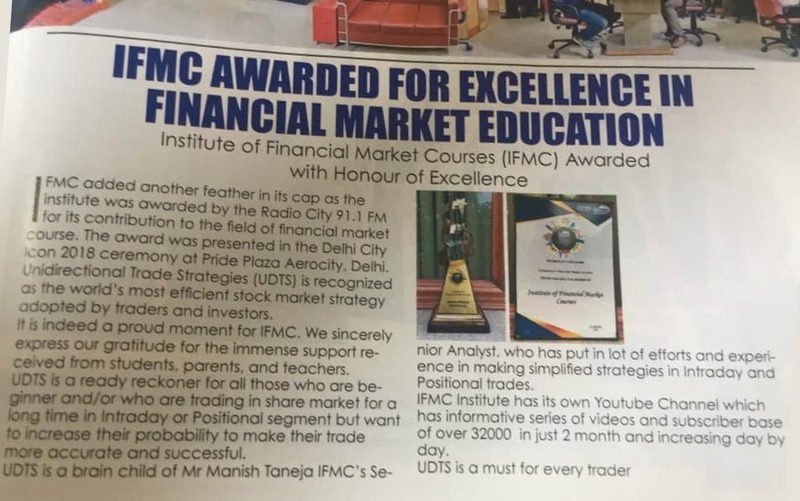 Since 2008, IFMC marketing institutes in delhi, administers guidance to hundreds of investors, traders, and other financial market enthusiasts, a real financial corridor. Our institute is recognized for fostering excellence in all aspects of a world-class education for young and avid learners. Students can access classroom classes at IFMC centres. We currently have 5 centres: Lajpat Nagar, Laxmi Nagar, and North Campus Centre at Delhi, Vaishali Centre at Ghaziabad, and Noida Centre. Stock Market Institute Delhi is a one-stop solution for financial market education. 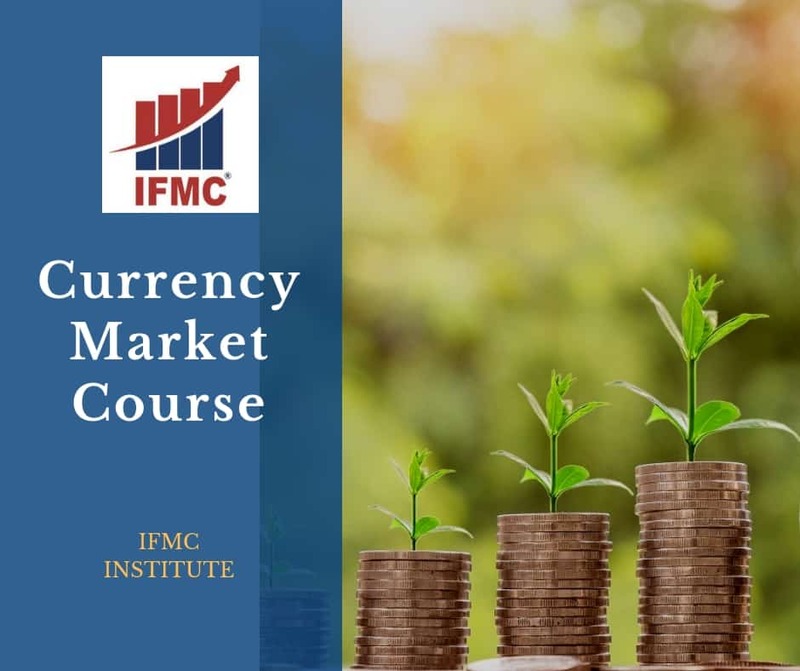 Institute of Financial Market Courses (IFMC) was founded in 2008 with an aim to deliver high-quality advanced level courses on financial market education. We strive to offer students standard, professional, and practical training. After achieving great success- we officially opened a new branch in Delhi, India. Our centers are located in – Lajpat Nagar, North Campus, Vaishali, and Noida and most nearly to metro station. There are several stock market training institutes in Delhi providing costly training; what you do not deserve. We value your money to offer affordable training. IFMC Uni-Directional Trade Strategies (UDTS) is an award-winning advanced technical course helps you become a professional trader and a star trader pro. Just think about UDTS and Course Stock made for each other. The course stock focuses on different trading strategies during intraday and positional trading. Besides, equips investors and money managers with the skills required to apply in intraday trading. 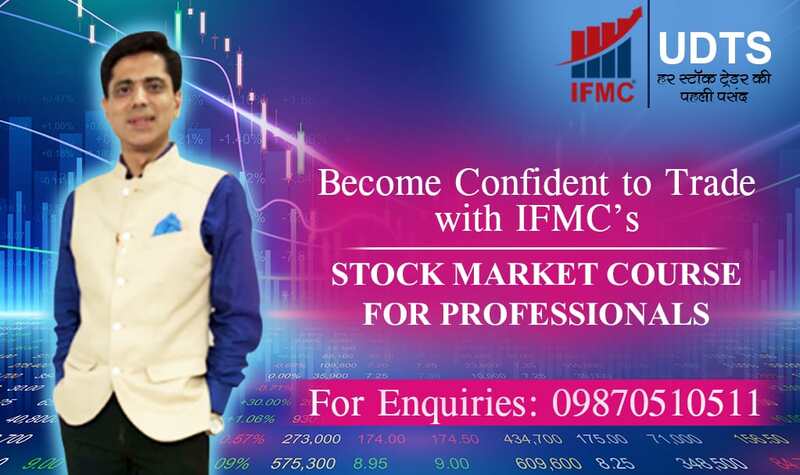 Join IFMC trading in stock market course to make a rewarding career in the stock market. So far we have trained more than 50,000 students in the span of 10 years. The institute is backed by a dedicated team of NSE certified professionals who have decades of experience in the Financial Industry. Every student is satisfied with stock market training. We never focus on taking out big cash from your pockets. Our courses are highly affordable and offer value for service. Our advance stock market course is core strategy where you will learn what is stock, demat account, money in the stock, what is stock price, how the stock market works, and how to invest in stock market? Let’s understand each course in addition to their benefits. Diploma in Financial Market & Stock Market course is an academic program. The scope of the program is highly broad. Students who wish to make a career in Financial Market, Bank, Mutual fund, AMC, Securities Market, Back Office can enroll. After completing this course students can become Dealer, Relationship Managers, Portfolio Manager, Equity Analyst. One can also opt for sub-brokership or Franchisee. Period. One Certificate for UDTS Course Stock Programme Signed by Our Senior Analyst Mr. Manish Taneja. Certification in Stock Market Course is a short term program. Available for students who wish to enter in Share Market. This program enables you to prepare for 4 NSE Modules. You can become self-employed by doing this online programme. It is designed to integrate the ability to forecast the market trends and core skills of smart trading in the stock market. The course curriculum includes areas of the capital market, equity derivatives etc. The course offers flexibility to learn along with your job and graduation. Indeed it is compiled for a long term rewarding career in finance and investment. Students can become a dealer or a terminal operator in broking houses after completing this course. The average salary for such individuals ranges from Rs. 2,50,000- 9,00,000. One Certificate form IFMC After Completing of Validity Period. One Certificate for UDTS Programme Signed by Our Senior Analyst Mr. Manish Taneja. Equity Dealer training course is a short term program in the capital market and equity market. Thus, understanding the fundamental aspects of the stock market. The course is for students who wish to buy, sell and give advice on securities markets such as stocks, commodities, mutual funds etc to individuals or companies. This program prepares you for 2 NSE Modules. Although the module will help students to appear for NISM certification and NCFM certification. After course, completion students can pursue a career as an investment banker, business analyst, fundamental analyst or research analyst. IFMC Institute is a pioneer in India to offer advance diploma swing trade analysis module programs for both traders and investors. Individuals who want to trade for a living or make professional trading their career can join investor and trader course. If you really want to learn share marketing course for a living, then join our Advance stock market program for traders. 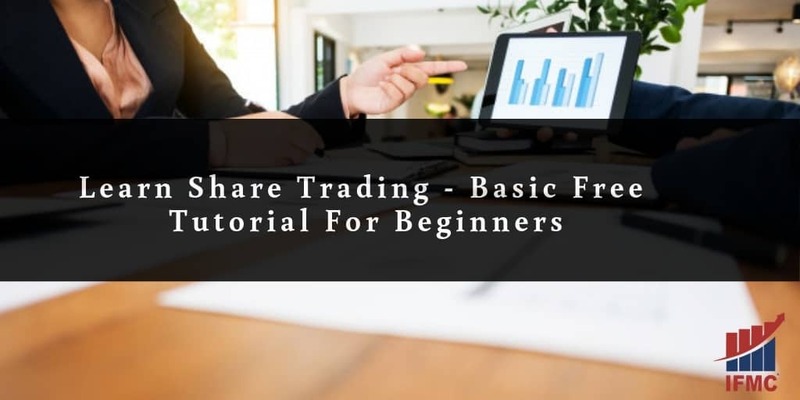 Learn Stock Trading Strategies trading in share market to become star traders – This is applicability based online stock trading course. The objective is to help beginners learn to trade more accurately and minimize loss. The course comprises of the study of market behaviors, basics of technical tools, swing trade, analysis module, chart patterns, day trading strategies, short positions, long term positional trading, stop loss, and technical analysis for successfully trading. Furthermore, learn analytical approach to analyze price movements. Lastly, learn applicability of technical tools in the live market with examples. Students can apply for jobs at broking house or can start independent trading. The course is divided into three parts. Basics: It covers basic of the stock trading, Rules of trading, swing trade. Even if you are a beginner you can go ahead with this course. Analytics: How to Analyse Market Behaviour and Trends, So that one is able to get in trend. Make view Bullish or Bearish and confirm it using various parameters, so that when one trades he has no confusion. Applicability: Once you are aware of Technicals tools and Fundamental aspect, one must know how to apply this knowledge in live market and analyse it immediately and make necessary action to Buy, Hold, Sell in a live market. Examples shown in videos in the live market will make you 100% sure about your trade and trading style. Stock Market Course for Beginners is the most sought-after module. Anyone who wants to be a part of the share market, Stock Market must have knowledge of all 4 basic markets: Capital Market, Currency Market (Currency Trading), Commodity Market, and Derivatives Market. Overview of these four markets is must in order to understand the working and interlinking of the markets. Awareness about stock market terminologies is a must for smart investor. Investing in stock market contorted. Although adhering to beginners guide will simplify the learning process. Understanding Wall Street jargon to explaining simple stock terms. The stock market course for beginners is the key to learn. After completing this course students in different job areas like Broking firms, Large Businesses, Insurance companies, Investment banks, Pension funds, Traditional banks dealing with broking firms, Magazines and Newspapers, Investment consultancies, Foundations, Mutual funds, Other financial institutions, and Research. Stock Market Course for Professionals is the higher course for who want to learn share market. This programme teaches Capital Market, Derivative Market, Commodity Market, Currency Market (Currency Trading), Technical Analysis, Fundamental Analysis, Options Strategies and UDTS. It covers all the aspect of Trading, Selecting Stocks and Investing. You get Pre-recorded videos. After pursuing this course you can apply for various job profiles like. Financial Advisor, Investment Advisor, Financial Modeling, Equity Research, Capital Market Specialists, Independent Agent, Accountants, Securities Analyst, Financial Managers, Security Traders, Security Sales Representative, and Securities Broker. Quick Trader online program is a beginners module. The students will learn the basics of all four market that is Capital Market, Derivative Market, Commodity Market, Currency Market and Currency Trading along with complete advanced technical Uni-directional trade strategies (UDTS) programme for successfull trading. You get pre-recorded videos in a simple language which makes learning easy. The uni-directional course is a shortcut to learn intraday trading for beginners. Students can become a dealer or a terminal operator in broking houses after completing this course. You can make your positions in the market based on the result analysis before actual results are published. Thus you are ahead of others in making your buy and sell decisions and thus the probability of getting benefited by price fluctuation before the release of actual news increases. After this course, you can pursue a career as a day or intraday trader and do trading in share market, banking, finance, investment, or broking sector. The free tutorials on Stock Market and trading course for stock market traders. these are based on the Frequently asked questions by the investors and traders and beginners. These are the basic thing which must be known to everyone working in the market. This tutorial by Mr. Manish Taneja –Senior Faculty Research Analyst – IFMC is much sought after videos. They are based on their knowledge and experience. It will definitely help you to make a basic understanding of the market clear. Specialization course is designed on the basis of the NISM/NCFM module. Generally, people join the program to gain trading skills. Besides, after completing CFA, MBA, CA, M.com, B.com. IFMC specialisation course is a series of courses that help you master stock market skills. To begin, enroll directly on the specialization course page. Review the course and choose the one you’d intended to begin with. Each stock market specialization course includes a hands-on project. Moreover, students need to complete the course and earn certification. Capital Market is the base of the share market. Trading knowledge of this module is important for all those who wish to be a part of the market. Especially, the financial market expert must learn the capital market. Thus, one must clear this module for being a part of the equity market. After completing this course the students can pursue a career as a financial analyst. However, some of the other career prospects for people with similar training include Compliance Audit Analyst, Budget Analysts, Product Operations Analyst, and Equity Research. Commodity Market is the most important part of the Financial Market. The market is different than the Capital and Derivatives Market. Likewise is totally different Exchange for Commodity Trading. We Trade in Primary Economy Market in Commodity Sector. Students can pursue a career as a Commodities Analyst, Trader, Research Analyst, Commodities Trader, and Relationship Manager in Broking firm Commodities trading houses. Currency Market Certification Course is the most important part of the Stock Market, however, it is least tapped. The market is the world’s largest market, but in India people do not understand it much as compared to Equity and Commodity market. Let’s learn how the world market affects currency and view Currency affects the world market. This topic is important from the examination point of view also. Knowledge of Currency is now being most sought after. Some of the common job opportunities in the currency market are money management, insurance, and financial planning. 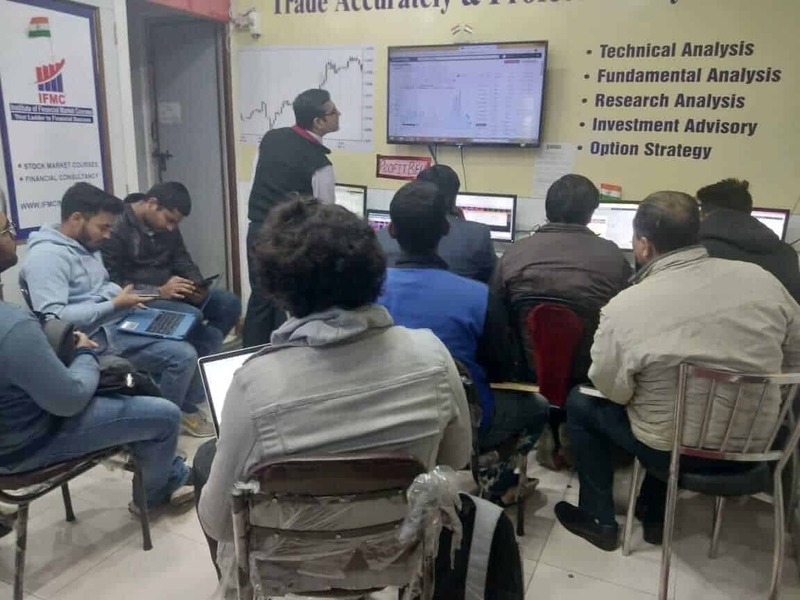 Technical Analysis Course in Delhi is a must learn module for all Investors, Traders, Students, Professionals and for all those who are trading in the stock market. It is a study of charts and graphs to find out future trends for price moves. The approach is used by a trader to determine entry and exit in the stock market. However, it is highly recommended that you must know the basics of trading then one can learn the best technical analysis course in Delhi. Fundamental Analysis Course is one of the most important modules of NSE and is specially designed for students, professionals who wish to specialize in the stock market. Under this module, we will study Financial statements, Fund statements, Ratio, P & L statements, Balance sheet etc. This course will help you to select stocks for trading or to judge the best performing sector. This Module covers the theory and we have taken every effort to include case studies and examples. This provides basic knowledge about long term or short term investment. Different work profile for working finance professionals and financial analyst are: Junior Financial Analyst, Chartered Accountant trainee, Assistant Consultant, Business Analyst, Finance Management Trainee, Analyst, Accounts Trainee, Research Analyst, and Options, strategist. Option Strategy module is an important module which is of interest to Traders, Investors, Students and anyone interested in the Options Market. It is advisable to have good knowledge about basic of Option or clear Derivative module before taking up this module. Options trading can be used for hedging, taking a view on the future direction of the market or for arbitrage. The option is also helpful for implementing various trading strategies such as Straddle, Strangle, Butterfly etc. Which can be of help in generating income for the investor under various market conditions. Research Analyst SEBI NISM XV Series Certification course is an important position in the Financial Industry. The exam is compulsory for all those going for financial advisory, Research houses. Tips through any means – as on individual, SMS, Website, TV, Radio, Newspaper, or any after mode. This is a very valued programme and one can stand apart from the crowd. Students can pursue a career in diverse areas like finance, health, sales, market research, consumer insight, and insurance. The short-term course is for the students preparing for NISM certification in Delhi, IFMC the NISM marketing institutes in delhi. We offer a comprehensive range of analysis modules covering the basic topics & concepts about the financial markets and its diverse areas for successfully trading. The course is for students preparing for NCFM certification in Delhi, IFMC the NCFM marketing institutes in delhi. We prepare students with the skills required to operate in the financial markets. Learn different products and the benefits of prudent financial behaviour. Suited for stock market traders who to enhance their trading skills by building profound knowledge. Individuals who to learn the advanced stock market concept, how to plan stock market trade, and execute them. Intermediate investors having trouble applying a profitable strategy to earn consistent profits. Beginners stock market traders looking to learn advanced stock market tools and techniques. Individuals who want to earn profits through Day Trading or Swing Trading. Empower your career with professional stock market training in Delhi. Why Do You Need Stock Market Education? Beyond stock market popularity in media, it is one of the many potential places to invest. Undoubtedly, investing in stocks is risky, likewise, attracts attention to higher profits and losses to some investors. If you are an expert in risk management, you can benefit from the stock market. One of the major advantages of investing in the stock market practices freedom to increase wealth. Especially, when over time stock market value increases, even though the individual share price movements rise and fall daily. Similarly, investing in different shares will help to build property while benefiting from an increase in diverse sectors, lowering the value of a few personal shares. Certainly, many shares offer income in the form of dividends. While not all stocks offer dividends, which are paid to investors in a form of annual payments. These types of payments exist even when the stock value is lost. They represent income at the higher profits, thereby, obtained through selling stocks. Investing in a different form of investment products offers diversification in stock market investment. For instance, bonds, real estate, and future options. Additionally, stocks also add risk to a portfolio as well as higher profits. Buying a share of stocks of a company means that you own a part of it. This means investing in the stock market also brings the advantage of being among the owners of any business. Shareholders have the right to vote on company board members and to an extendable to make business decisions. NSE certified trainers: Our trainers are industry certified with more than 15 experience in share market trading. Live market sessions: Students can benefit from live market sessions during real time. Learn, how to make trade in the live market and technical indicators behind working. Small batch size: We do understand the unique need of students who are eager to learn share market. Thus, our classroom course for beginners focuses on delivering individual attention to each student. NSE certification: We also provide NSE certification and other industry-specific certification – NISM and NCFM module. Worldwide recognition: Our learning platform and diverse courses are designed in a way to provide students with exposure to share the market world. Practical exposure: Practical live trading exposes you to the real-time market environment by providing stock market training in Delhi. Award-winning institute: India’s No. #1 & Best Stock Market Institute Delhi for Technical Analysis & Share Market Learning, Awarded for “Excellence in Financial Market Courses at Delhi City Icon Awards 2018”. The stock market today has intrigued the general population of India for long. This explains the low participation level when compared to other developed countries. However, the capital market enigma is slowly fading away. Besides, people are ready to invest and take a risk in the market. With the growth in participation, the non-bank financial sector is to take a leap even faster than it is already growing. Therefore, there is a huge demand for working professionals in this sector. In this section, we’ll talk more about what it takes to be successful in the stock market. Working in the financial market is not an easy job. It requires full knowledge of the market, rules to adhere, and other policies to sustain in the market. Only the ones with the right attitude can cherish and enjoy the time spent learning about the stock market. Thus, plan what you want to achieve by working in the stock market. Look into how much money you can invest. Passionate: Undoubtedly, you need to be passionate about the markets. Without passion and dedication, you’re inevitably going to fizzle out. Because the market can relentlessly require you to upgrade your skills and improve knowledge..
High level of integrity: Investing in the stock market requires lots of work and management. A successful financial market-oriented company requires a responsible team for money. Define goals: The financial market is not just about picking stocks. Within the stock market, you can choose to work in Assessment Management, Broking & Distribution, and Wealth Management. Furthermore, understanding which field interest you most will help you to make a smarter career choice. Deciding what you want: Once you know which part of the capital markets you want to be associated with, it’s important to gain understanding that how it works and other business work, meanwhile, search for an opportunity in the financial market where you need to go. 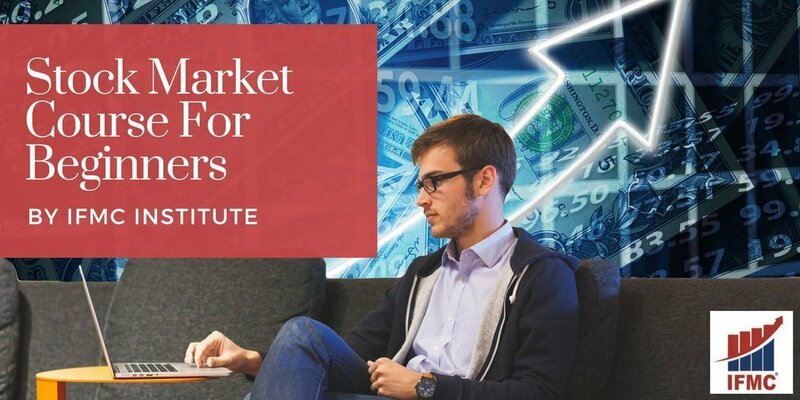 Select the workplace wisely: Entry levels students in the stock market should search for the right exposure in the market for future growth prospects. In order to increase your career productivity while students can join the best share trading course in Delhi with the freedom of studying from anywhere and anytime. 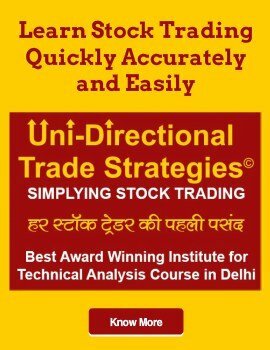 Learn stock market trading India from a reputed institute. However, certain job profiles demand a certified employee. Also, few NCFM or NISM certifications are mandatory like equity dealer certification for the equity dealer profile. Furthermore, if you already have a job, you can begin with part-time investing and trading in the stock market. 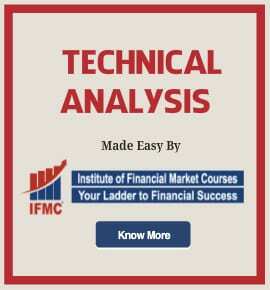 Join IFMC Institute best online course for stock market beginners. Discover a financial institution if you want to pursue a full-time job. Else, if you are interested to start a business, then it requires huge capital and risk-taking capabilities. There are numerous employment opportunities for stock brokers in India at large broking firms, mutual funds, investment banks, investment consultancies, insurance companies, and pension funds. If you have the potential to cope up with a strict work schedule and high volume of competition, you have a bright future in the stock market. Additionally, the salary of the stockbroker is highly depended on your qualification & performance. The starting salary of the stock broker in India is Rs 20,000 to 25,000 per month (between Rs. 2 to 3 Lakh per annum). Overall, having an MBA or any other advanced level degree will take you to a higher slab. However, for the experienced stockbrokers, the sky is not the limit. It is imperative to understand how the stock market works, how to trade stocks, and besides, able to predict future trends. While the median salary for these professionals in 2019 range from Rs. 8 lacs per annum. To become securities, commodities, and financial service expert, one needs an NCFM certification or NISM certification in respective specialization. 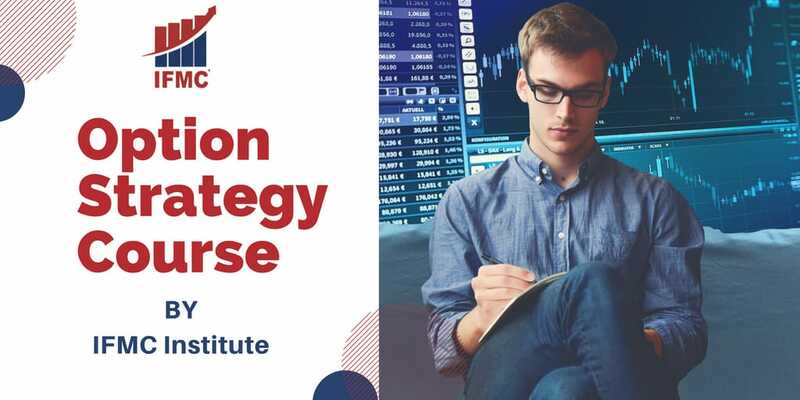 Learn more: option strategies course, commodity market course, currency market course, capital market course, mutual fund distributor, and equity dealer course. A stockbroker is involved in buying and selling of stocks, mainly for clients. Usually, a stockbroker is associated with a brokerage firm or dealer who is involved in securities exchange. What is the eligibility for stockbroking? There is no minimum eligibility required to become a self market trader, however, one may need NSE NISM certification or NCFM certification to become a stock market professional. Actuaries are stock market experts in risk management. Typically, they are employed by companies with Certified technical analysis knowledge. Including, dealing with investments and running both technical and fundamental analysis on primary market prospects. They also handle clients mutual funds. You can also work as a marketing manager in a broking firm. Therefore, actuaries should be knowledgeable about stock trades in order to make predictions. The median salary of actuaries in Delhi is Rs. 11 lacs per annum in 2019. Learn stock market courses in Delhi. Our courses like options strategy and derivatives market set a benchmark for industry-academia interactions. Our multi-faced programs are well endorsed by leading industry practitioner. Having been associated with IFMC institute since inception. Thus, they have helped share our courses dynamically to students success. Every program is formulated on NSE BSE module proven approach for successful investing through the use of risk management. A Stock is defined as a company share of ownership. It is an investment that represents a form of security. Stocks are one of the convenient ways to build wealth. Simply, when you hold a part of a stock- what is called a publicly traded organization. Due to the fact that it has a well-established past data. Therefore, it makes the stock market an excellent platform for an investor and traders to acquire shares. In fact, it is a great way to get started in the trading world. A stock is a popular financial instrument in the world. It is ownership in the company representing to claim company earning or asset. In fact, stock or share of flexibility, choice, as well as different levels of risk. A place: It’s a place called the National Stock Exchange (NSE) and Bombay Stock Exchange (BSE). Buy and sell: It is an aggregation of buying and selling of stocks. The selective representative (or traders) can only directly buy or sell shares of stock. Shares of stock: Shares, stocks, or equity – all are synonyms, representing the company’s ownership. Publicly-listed company: Not only companies can participate in the market. The company must be publicly-listed that can offer shares of stocks to the public. Usually, this is done in order to finance its expanding operations. When a publicly traded company issue shares of stock to the investor, each share is assigned a price value. It is an individual share of a number of saleable stocks. Simply, a stock price is the highest amount someone is willing to pay for a stock or the lowest amount it can be bought. Publicly listed company and NSE/BSE: The company applies to National Stock Exchange or Bombay Stock Exchange (Indian Stock Exchange). Although a company must comply with the Indian stock market stringent requirement before opened to the public. The NSE/ BSE safeguard the interest of both investors and traders. Trading participant (Broker): A market trader cannot directly transact in the market. In particular, only licensed brokers are allowed to buy and sell shares. This is done simply for authority objective and task rendering. Investor participation: The investor contact participating trader or broker if want to buy or sell shares. A broker offer information about the company’s financial health with the investor. Thus, using this information investor can invest in stocks. Where We Can Buy Shares? Primarily, stocks can be bought from two markets. The word ‘market’ can have multiple meanings, but it’s most used often to denote. Primary markets and Secondary Market. This is true for Indian Stock Market as well. The primary market is a financial market where securities are issued for the first time. The primary market is also referred to as market in art valuation. It is a part of the capital market that deals with sale and issuance. Simply, when a company issue stocks for the first tie at the Indian stock exchange. Thus, it is a time when a company. An Initial Public Offering (IPO) is the best example. Similarly, when securities are traded by investors it is referred to as the Secondary Market. Although, the secondary market is also known as Aftermarket. Beginners must understand the basics between the two market: primary market and secondary market. A company chooses to list their stocks in the primary or secondary market, it comes out as a primary market which is also known as Initial Public Offering (IPO). While on the other hand, when an investor is able to buy and sell the company’s shares after they are listed in IPO, it is called a secondary market. Technical analysis is techniques for evaluating securities by relying on different assumptions. It studies the factors that affect the market data, sichs as price, open interest, volume. Additionally, it helps to predict future market trends (usually short-term). It offers a range of tool for managing trading positions. These tools aid in generating tips and tricks for intra-day trading. Financial Market offers one of the most promising and exciting career choices today. The financial consultant/Advisor/Analyst /Relationship Managers/portfolio managers/Dealers/Fund Managers has become an emerging profession in the job market. The good news is that to become a professional in the financial market consultant or advisor does not require one to attend length and expensive courses. 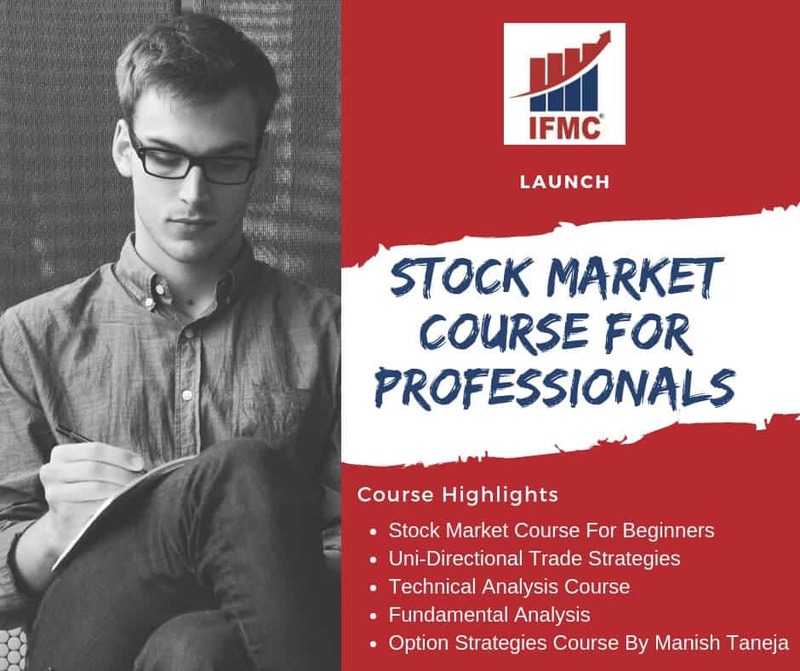 Those who aspire to become a financial market professional or who is looking to learn share market for personal investment, Institute of Financial Market Courses (IFMC) offers the best e-learning platform for the stock market courses. Also, learn approach to trade in high volatility Stock Market. Even then you get the best, as IFMC offers the classroom courses in pre-recorded videos so that student gets the same learning even without being physically present in the institute. The validity of the courses is 6 month and more, depending on the courses so that you have enough time to revise. Additionally, The books through emails and mock papers will ease study. Above all the Faculties and technology when are mixed together they give the best. Do not buy stocks with negative earning for the year. 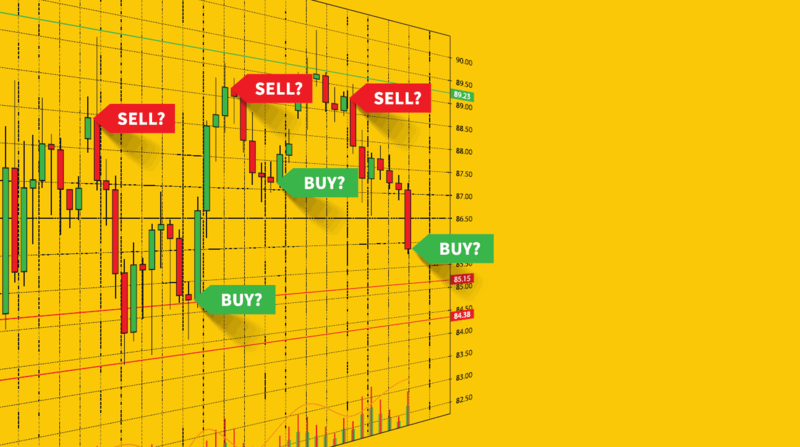 Find your investment IQ: Firstly, you need to understand the concept of stock trading and how it works. Besides, if you’re immediate, brushing up your skills won’t harm. Learn stock trading from professional stock market institute like IFMC. Take a beginner investor course: Secondly, take a professional course from a reputed institute. IFMC Institute is a top rated institute for excellence in financial market education. A course features tons of features, tools, techniques, and stock marketing strategies. Open a brokerage account: Find a good online stock broker to open an account. Become acquainted with the layout to benefit from free tools. Learn how to invest in stocks: Once you learn what is stock? the next step is to learn how to invest in stocks. Books offer a wealth of knowledge and are an inexpensive mode of education. You can also subscribe to IFMC Institute YouTube Channel to learn stock trading for free. The stock market article and blogs are also a great way to gain knowledge. Find your trading style: Once you learn the basics of stock trading, it’s time to develop own trading style. Stock trading courses focus on building an investing plan. Wherefore, successful trades commit to using their investment plan for all trades. Buy signal is a trading trend. Usually, these signals are sent by the customers or buyers to the sellers. Simply, it is an event that alerts a person to plot a purchase for an investment. For instance, momentum traders looking for short term moving average to long-term moving average as a buy signal. How Share Price is Determined? Generally, in a market scenario, the price of a share goes up when a company is earning high profits. During such an event, investor shows their interest to purchase the shares resulting in high demand so does the price. The price of a share is directly related to its demand. Hence, the demand is the prime factor for determining the price of a share. Similarly, there are several factors which affect the price of a share. 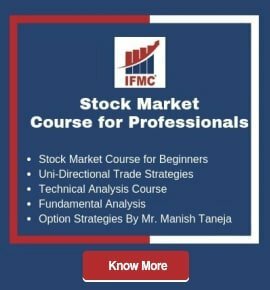 You can learn from the experts at professional stock trading courses in Delhi for beginners at IFMC. You may hear people the market is going up and market in falling. If you read the stock table, you’ll realize that not all stocks rise or fall. There can be few stocks those moved in a different direction. In fact, when stocks are listed for exchange, few stocks are grouped to form an index on a different basis. Thus, stock indices are required for sorting out shares, representation, comparison, passive investment, and reflection of investor sentiment. IFMC Institute is the best option for making a career in the stock market in India. We are dedicated to delivering quality and unbiased education, information, research, and instruction to primary market professionals. IFMC offers both online and classroom share market courses. Classroom courses can be taken at the IFMC centre: Laxmi Nagar, Vaishali, North Campus, Lajpat Nagar, and Noida. The students can take short-term job oriented course in Stock Market for Beginners, Advance Diploma in Financial Market, NSE Certified Technical Analysis, Fundamental Analysis, Options Strategies, Currency Market, Capital Market, Commodity Market, Share Market for Traders, and more. The Uni-Directional Trade Strategies (UDTS) course stock is the IFMC Institute copyright content. The UDTS is globally recognized course for traders who want to master to trade successfully with advanced technical and wants to become a star trader pro. Apart from providing world-class training IFMC is also known for imparting placement support level. The advance level stock market module is a professional stock market trader program. The module enables you to make an informed decision in investing and trading. In fact, each module educates the most important principle of learn share trading course in Delhi. Learn more: Best online course for share trading. Module discusses basic of stock market as what are shares, what is share market, different types of stocks, different trading patterns, bullish and bearish market, long term investment, and more. Learning this module will make your base strong. The capital market is a long-term financial market. 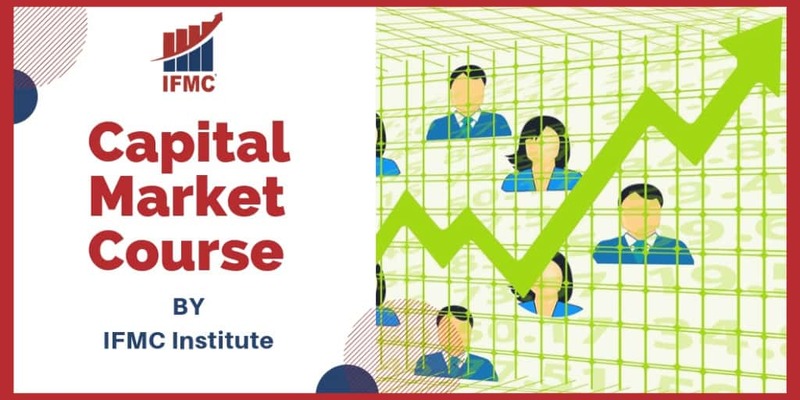 The module covers fundamentals of capital including – basics of capital and investment, return and risk, equity index, the difference between primary and secondary market, screen-based trading, a live trading session on buying and selling stocks, Multiple Index, Basket Trading, Circuit Breaker, Algo Trading, and Code of conduct and Investor Protection. Commodity market is explained with emphasis on futures and options trading. Learn the basics of the commodity market, advantages, difference from stocks, MCX exchange, NCDEX exchange, international commodity, hedging, scalping, arbitrage, speculation and more. Thus, understand trade strategy to risk management. Discover the world of derivatives, develop a comprehensive understanding of derivatives instruments including contract specifications, market convention, and valuation. It is a core strategy of the Indian Stock Market. Therefore, a vital role to eliminate the risk of a change in the price of the stock. In this module you’ll learn call ratio analysis, exotic derivatives to name few. Options trading course is designed to help every level of students. In this module, students will learn the essentials to become a profitable options trader. This module will include multiple theories of future and option, future contracts, margin money, hedging strategies, currency futures etc. Learn Technical Analysis module to become certified technical analyst for all Investors, Traders, Students, Professionals. All the important tools like bars charts, candles charts, line charts, resistance level, oscillators and higher tools are covered and explained in the most simplistic manner. 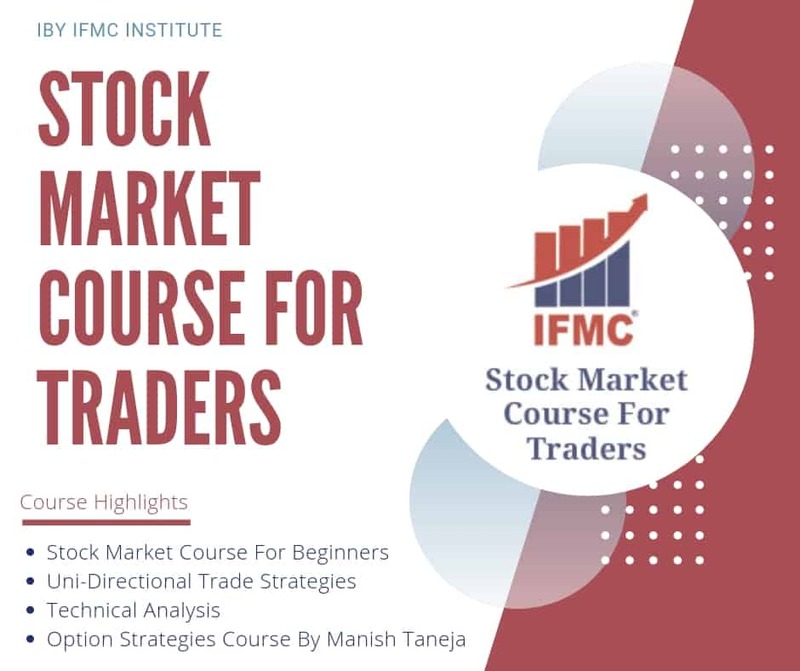 This module discusses basic trading concepts, demand & supply, the difference between technical analysis & fundamental analysis, Dow Theory, Long Term, Medium Term, Short Term, Candlestick Study, through Live Market Examples. Portfolio management teaches you the concept of risk and returns. The module presents a study of the core strategy and techniques used to build a financial portfolio. In this module, we will be sharing our experience of portfolio management in the Indian stock market. Intraday trading deals with buying and selling of securities within the same trading day. Intraday trading refers to buy and sell stocks on the same day. Learn how to get started with Intraday stock & share trading, how to select stocks and regular trading. Learn more: Day Trading for Beginners. Day trading is defined as an act of buying and selling securities within a single trade. Day trading is not for everyone! It involves significant risk. Moreover, it requires a conventional understanding of how a market works, day trading strategies, and several profiting trading plan. As a day trader, your aim is to take from the market whatever is possible on the same day. Some of the common types of day traded financial instruments are stocks, futures trading, options trading, and currencies. Fundamental Analysis Course is one of the most important modules of NSE and is specially designed for students, professionals who wish to specialize in the stock market. Under this module, we will study Financial statements, Fund statements, Ratio P & L statements, Balance sheet etc. In the module, we discuss how you can reduce risk on your investment and how you can maximize profits. Risk management is a technique to identify, prioritize, an evaluation of risks while investing involved in trading stocks. Who is this Stock Training For? IFMC stock training classes in Delhi is imperative for beginners, intermediate investors, and professionals. Besides, those who want to acquire trading knowledge. Stock market beginners can join the course who want to build a 360 foundational learning investing and trading. Intermediate investors who want to build a strong knowledge of futures options trading, derivatives market, value investing, portfolio management, etc. How Will You Benefit From Pro Stock Trading? India is going and so is Financial Markets. Today, modern India is yielding to global trends. IFMC is a result of this new-found Indian confidence. We endeavour to spread knowledge of the securities market in India. The promoters are in this business since 1995 and have a vast experience of 21 years in the financial industry. IFMC is No 1 Institute of banking/insurance and financial markets. IFMC is the pioneer in the quality education of Stock Markets in India. We provide complete in-depth knowledge in all segments of the financial markets, like share market, capital market, derivative market, commodity markets, currency/Forex market, mutual fund, and insurance sectors. IFMC is also into vocational training institutions, Medical college, Engineering and B.Ed college with long term and short term job oriented skill development courses with offline and online classes. IFMC is also providing e-learning platform. We are pioneers in short-term job oriented diploma programs. While the main emphases remain on live market practicals. Thereby, placing our students on different posts like Research analyst, dealers, arbitrageurs, managers etc. IFMC also provides short term job oriented courses in share market, stock market capital market, commodity market, currency or forex market, derivative market (future and options) and options strategy. IFMC also offers certificate courses for certified technical analysis, fundamental analysis, research analyst, NSE, BSE, NCFM, NISM, BCSM MCX NCDEX, MCX MODULES PREPARATION AND CERTIFICATION, CDSL NSDL DP MODULE Preparation, risk management etc. In fact, have a vast 3500 plus client base of student and pro trader. Indeed the number is growing with each day. Coupled with best faculty and world-class infrastructure. Conveniently located on the prime location in Delhi NCR, nearincluding Lajpat Nagar, Laxmi Nagar, North Campus, Vaishali (Ghaziabad), and Noida near metro station with superb connectivity in the prime locations, make it the best institute for Stock Market Courses in Delhi NCR / EUP/ WUP. Students are always looking for an intensive course after graduation. There are many professions in the Indian market, there is, however, a shift in understanding the job markets. People are venturing into never explored fields and a mid-life career change is also gaining popularity. One such field is the Stock Market, which is misunderstood for long. But this is one of the best career option available as on date with the best career opportunities in Financial Markets. Stock Trading in India began somewhere around 1875 under a banyan tree to Pheroze Jeejeebhoy tower in Mumbai. Since then it has undergone many changes and reforms – from Outcry Trading System in the trading ring to Online trading, from chopri & ledger accounting to accounting software, from share certificate to electronic system of holding the shares and securities. When one sees the blue and red light blinking on the screens, one may find it completely senseless but it is a completely structured market. Brokers/Sub-brokers buy and sell shares on behalf of their clients. These sub-brokers may work independently or with some business houses, broking firms, investment banks. Also, there are Fund managers who manage the money of individuals (Mutual Fund) and corporate. They make strategies for investing to generate ROI. There has been a drastic change in the Indian Economy and with the event of Digitalization of Money and many more economic reforms are taking place. Some of them are visible and some will show effects in time to come. The Indian financial Industry is under reformation of least professionalism to utmost professionalism. Post economic reforms Indian stock markets saw many changes, one major change which brought procedural & operational changes in our stock trading system was the formation of SEBI (The Securities and Exchange Board of India). Pre SEBI era the stock markets were governed & run by a group of brokers, but SEBI’s control changed the scenario. Stock market training program for investors is ideal for those who are constantly investing money from a different resource. If you want to save you money and would like to get more out of your savings then you can learn to invest in stocks. Stock Market Trading is a well-known and a smart way to become financially strong with the use of various calculations of the stock market. This course is all about introducing you to the exciting world of the stock market, taking you from the very beginning “What is a stock?” to teach you about different investing strategies, like Fundamental and Technical analysis. Thus, become a smart investor with IFMC advance stock market courses. A lot of people like students, youngsters, retired persons, housewives etc want to learn new ways to earn money. The stock market course for beginners is a benefit for retired personnel, housewives, and working professionals. Afterwards, earn from savings and capital. Thus, learn ways to risk-free trading strategy by IFMC stock market experts. If you are retired or looking for a part-time job then join the stock market training program from IFMC and live with dignity and honour. IFMC visualizes great potential and huge vacancies in the financial market sector in years to come. As the Indian economy is growing rapidly resulting in a lot of demand for trained and qualified financial market professionals. Much more banking licenses are awaiting in years to come and demonetization has added fuel to the fire. Today students are wandering for good, respectable and paying jobs. Somewhere there is not an adequate salary and sometimes there is no job satisfaction. Still, they don’t get jobs as per their need. Moreover, they do not get proper mentoring and guidance over their Career. Stock market offers a remunerative investment opportunity. Consequently, more and more people around the world progressively entering the stock market. The market where we can build a strong career. However, one has to remember that the financial market is much more than picking stocks to earn profits. After all, its a multi-faceted and diversified to which individuals entering must brace to gratifying career. Indian stock market is a niche field. Besides, there are several big players competing in the live market. If you’re among those who can sustain the derivatives market and understand the complexity of Nifty and Sensex, certainly, make a career in the stock market. However, a financial market is a definite place where one can never foresee a smooth flow of career. As a result of unstable market movements. 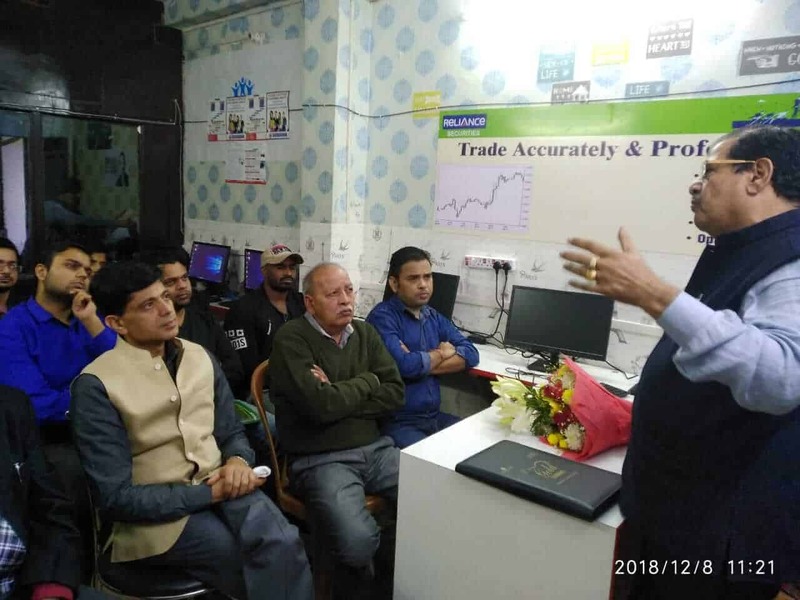 Nevertheless, if you plan to follow the right approach for establishing a career in stock market Delhi, it can result in one of the best decisions of your lifetime. Ordinarily, you can find different stock market courses matching your needs. To conclude, the course distinguishes as trading courses, investment courses, and market learning. Although, it’s exceptional to learn stock market in Delhi from someone who knows better. Generally, after completing the course, students can apply in various financial market streams. For example, portfolio management, broking houses, financial planning, security market, asset management, derivatives hedging, arbitrage, insurance, banking, etc. Some popular job profiles are a money manager, research analyst, technical analyst, portfolio manager, stockbroker, risk manager, financial advisor, investment advisor, etc. The list is endless!